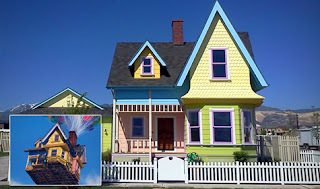 No not the movie UP, even though most of the movie is based around a house, but up and is the direction. When you walk in a room what is the first thing you do. For most I would imagine you enter a room, find your bearings and go to your desired location(ie: a table at a restaurant or a couch in a living room). 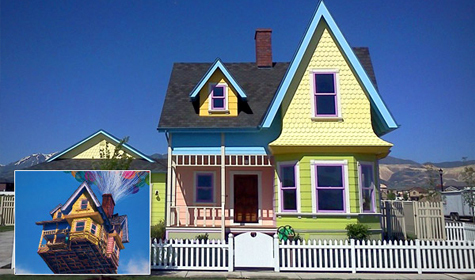 You better believe that is a real life replica of the Up house! For me, it is nothing like that. My timeline gets stretched out quite a bit longer and there are a few more 'steps' into my process of entering a room. 3. Look down and take note of the flooring and applications. 4. Walls. Are they painted? What color? What is that odd thing they are claiming to call wall paper? 6. Furniture. Comfort? Function? Style? 7. Accessories. The 'little things' that can make or break a room. 8. Choose the couch I want to sit on. 9. Touch and examine even closer all of the above on my way to said couch. Now for most of you reading you must be thinking that is exhausting, but for me it is design and it is my passion. I enjoy the little things. I love learning more about design from the way that other designers have installed certain products or designed certain elements. At the end of the day design is more than my job, it is my way of life. On a positive note, I am not the only one in my family that does this! My dad and I enter a room and do the same exact thing. It may or may not drive my mom insane. And if you think that drives her insane you just better hope that my uncle and cousin that are both architects are not with us, because there is not turning back from there! Perhaps this is how others enter rooms too(probably not). Perhaps I am not the only one doing this. Or perhaps this is just a Confession of an Interior Designer. Your poor, sweet mom :) I love the fact that you enjoy your work so much - it's great hearing about what you do. Oh how true this is! interesting to peak into the mind of a designer! You are living my dream. Interior design. LUCKY! Do you look at the sets in movies and tv shows? I am that girl who totally is like, "I love that sofa" and have NO idea what's actually happening on the show.